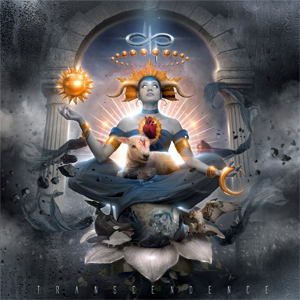 DEVIN TOWNSEND PROJECT has also announced a North American tour to coincide with the album’s release, which will see them co-headline with progressive metallers BETWEEN THE BURIED AND ME with main support offered on all dates by FALLUJAH. Tickets will be on sale on Friday, May 20th at 10 AM, local time online or through local venue ticket outlets. BETWEEN THE BURIED AND ME will be performing their most recent album, Coma Ecliptic, in its entirety on this tour. This will be the first time the album will be performed live in full. Bassist Dan Briggs offers his thoughts and says: "The songs on Coma Ecliptic came together in 2014 (and some of them even earlier than that), so it feels amazing to finally present the album live in full, the way it was intended to be heard. It's our most theatrical album yet and we'll be looking to bring that element to the stage as best we can; not to mention how great it will be to share the stage with Devin + crew again." Meanwhile, DEVIN TOWNSEND PROJECT have also announced a string of dates prior to the above mentioned tour, also with support from FALLUJAH.